One of our favorite stops in Kentucky is Mammoth Cave National Park. Known as one of the oldest tourist attractions in the United States, this national treasure is part of the longest cave system in the world at over 365 miles. We have found ourselves visiting Mammoth Cave National Park on numerous occasions to hike, camp and explore the cave. We’ve been on several of the tours, but our favorite so far has been the Historic Tour. The tour begins outside of the cave with a bit of information on what to expect inside. All I could remember from the ranger was that we’d travel through Fat Man’s Misery- at which I was positive I’d get stuck and forgot to listen for awhile. I also learned we’d travel through Tall Man’s Agony. I pictured my tall boys hitting their heads upon the cave ceiling. Not to fear, I did not get stuck, but the boys almost did hit their heads! 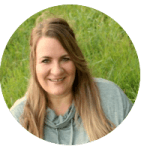 Although we laughed and snapped pictures with our cell phones while in the midst of Fat Man’s Misery, twisting through the narrow knee high passageway, our laughs escalated as the floor seemed to rise beneath our feet and the ceiling dropped suddenly. We realized the path had led us to Tall Man’s Agony. We proceeded through the passage in a stooped posture that I know looked as ridiculous as it felt. The remainder of our tour included climbing over 100 stairs to the Mammoth Dome and exiting the same way we’d entered. The Historic Tour follows a 2 mile trail through the cave that takes just over 2 hours to complete. I would consider this tour to be moderately strenuous due to the number of stairs (around 400) that you will encounter and the steep hill that you will climb at the conclusion of the tour to the Visitor’s Center. This tour is best suited to children that are able to walk on their own for the duration. There were some young children (preschooler’s) on the tour and most parent’s ended up carrying their children most of the way. However, as our tour concluded, there were two little boys that appeared to be around 6 or so that had enough energy to run up the steep hill to the Visitor’s Center while the rest of us were huffing and puffing along. Mammoth Cave has tour options for all ability levels from a leisurely 1/4 mile jaunt through the cave to a very physical, strenuous 6 hour trek climbing cave walls and crawling through tight spaces for the more adventurous among us. Cave tours range from $5 to $48 per adult, with slightly lower prices for children and seniors, and are offered every day except Christmas. I would strongly urge you to reserve your tickets prior to your visit, especially if you are traveling during the summer or busier seasons. 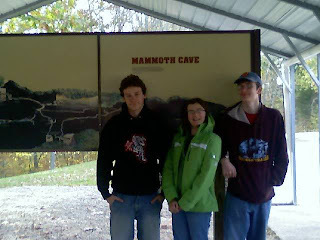 My husband and I first stopped at Mammoth Cave on our honeymoon nearly 20 years ago and were disappointed when we found all tours sold out even though it was early in the day! You should also remember that this attraction is located in the Central time zone when you begin making your plans. The national park has curriculum materials available on the website if you’d like to make a field trip out of your visit. In addition to the material on the website, I also found this book, The Cave Book, from the Wonders of Creation series to be a good resource to combat the evolutionary content presented. Children between the ages of 5-12 may also enjoy the Jr. Ranger Program. To participate, simply stop by the gift shop to purchase the ranger booklet for around $5 to see what requirements your child would need to meet to earn their own badge and certificate. 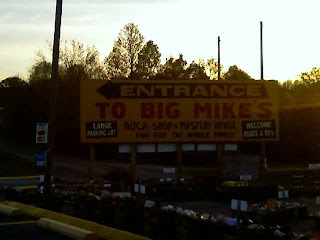 If you have a budding geologist on your hands, you may want to stop at nearby Big Mike’s Rock & Gift Shop. We have stopped here on several occasions just to buy rocks! If you hang around long enough, it seems that they always offer some kind of a special on the rocks. This is a great place for cheap souvenirs! 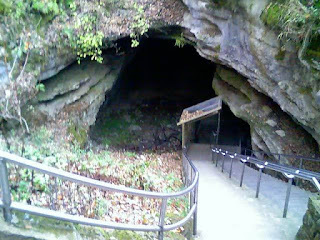 Have you been to Mammoth Cave National Park? What tips would you add for an enjoyable visit? 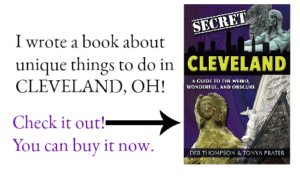 Enjoy visiting caves and caverns? You may want to read my post on Cathedral Caverns State Park in Northern Alabama and plan a future visit. If you have small children the $5 tour is a safe bet. It’s a short trip and if the children get scared it doesn’t take long for you to get out. This stop looks SO awesome. I would love it. Man, you are living the dream that most of us have had at one time or another. Look beyond the tough parts and enjoy it!